If you are looking for a yummy treat to take to an upcoming party, I tell you what, look no more! I will just be frank though, it's NOT healthy. It's NOT even close to being good for you. And, it's kind of addicting. 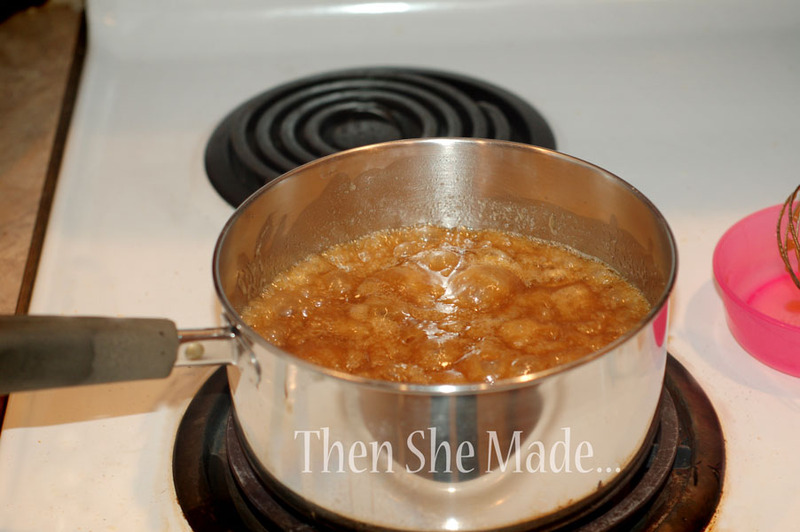 But man, it is sooooo good and it's easy to make so you can whip it up in minutes. 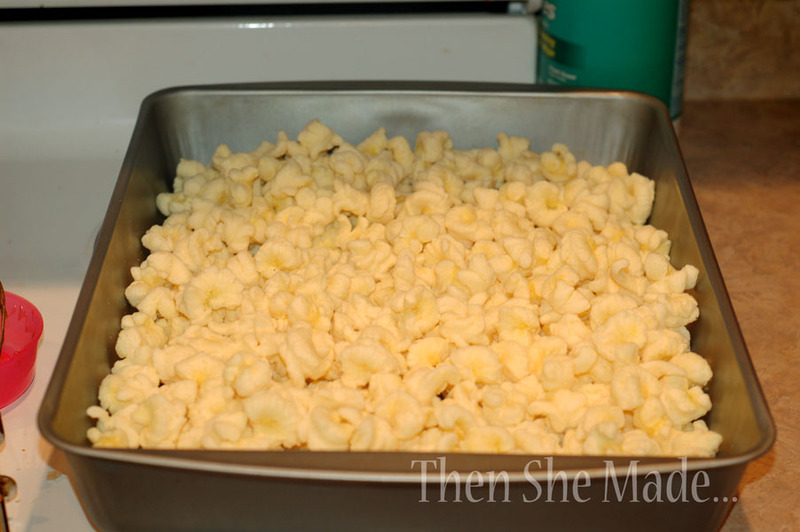 1- Dump both bags of Puffcorn into a large pan. I use a roasting pan because it gives me space to stir without spilling. I included a photo of the Puffcorn because a lot of people don't know what it is. And, in all the stores I've bought it at, it's in the chip aisle but usually NOT by the other Cheetos products. 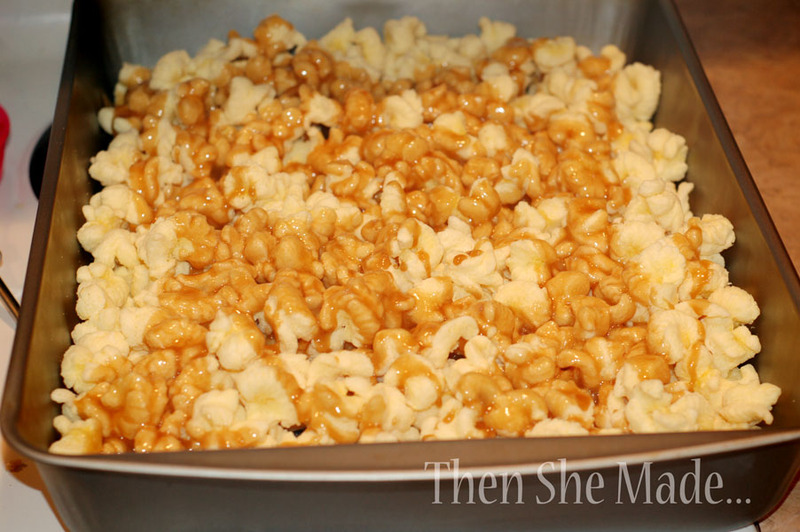 2- Once the Puffcorn is spread evenly in pan, set it aside but keep it close to the stove. 3- In a sauce pan, melt butter, sugar and Karo syrup together and bring to a boil. Stir often to avoid burning. There isn't a set cooking time here, I just boil it until it seems to grow and it looks foamy on top. 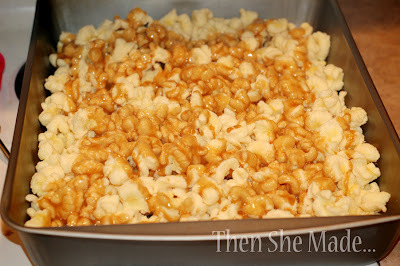 4- Next, carefully pour the sauce over the Puffcorn. Then stir to mix well. Be sure to scrape the bottom of the pan as you stir because a lot of the sauce will settle to the bottom. Also, you want to do this step quickly because the sauce will start to cool and is harder to get an even coat. So, stir immediately after you pour the sauce on and stir quickly. 5- Once it is mixed well, let it sit for just a few minutes to cool. Then, break into small pieces/clumps and put in serving bowl and dig in! Oh my goodness! It's so yummy. My kids ask me to make this all the time however because it is not a healthy treat I usually reserve it for special occasions and only make it at this time of the year. This week I've already made it twice and have a request to make it again. Hmmmm, I just might have to. My Great-Grandmother used to make something almost exactly like this, it was delicious. This looks just as yummy! I make this every Christmas...this year, though, I drizzled chocolate over the batch after it had cooled. Talk about naughty! The Puff Corn is also tasty with almond bark coating on it -- so addictive. We do this with Almond Bark.. I might try this.. I'm sure the kiddos will LOVE it.. I just made this and...Oh my, it heaven in my mouth! I asked hubs to go to the store and get the puff corn immediately after reading this (he agreed quickly to the trip after telling him why the sudden NEED! 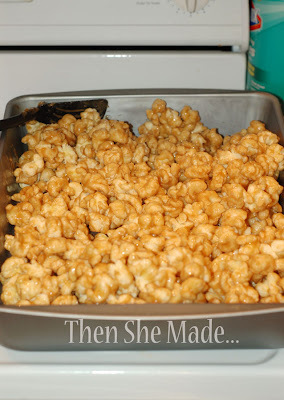 )But instead of just the butter flavored I used a bag of cheddar flavored puff corn and a bag of butter flavored. Perfect "dish" for movies tonight with our kiddos. Thanks for sharing! Vicki - Cheddar? Really? I'll have to try that. So glad you liked it and I hope your family enjoys it for movie night. Andrea - I'll have to try it with almond bark, that sounds good too. 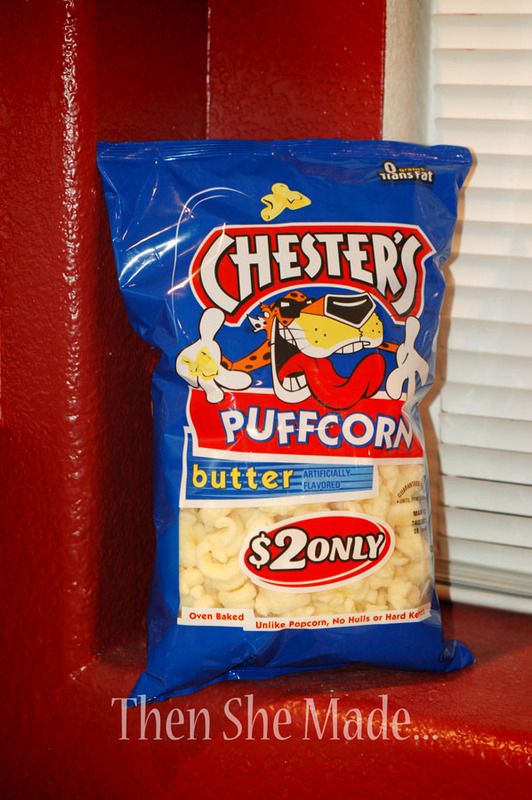 I have not been able to find Puffcorn. Is this close to Popcorn? Could I use that? This sounds fabulous!! Thanks for sharing the recipe! @Patsy, It is usually in the chip aisle but not always by the regular Cheetos. Look for it near the pretzels, Funyun, or Muchos. In my Walmart and in the local grocery store it's at the end of the chip aisle. Hope that helps. I know they carry it in Walmarts, King Soupers, Krogers, & Albertsons. It's hard to find in Target.